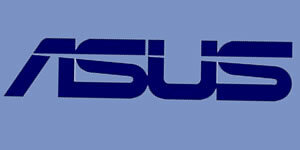 Asus are really gunning for the HD market at the moment. I took a quick look at their newest slim and light external Blu Ray reader not long ago and now I have the opportunity to look at the Xonar HDAV 1.3 Slim. Like it's bigger brother, the HDAV 1.3, the card provides High Definition support. The HDAV slim has the added bonus of being able not only to convert the Dolby True HD or DTS-HD Master Audio into non-downsampled linear PCM, but also to bitstream both high definition formats as well. This means that couple the HDAV 1.3 Slim with a compatible AV receiver or pre-Amp and the card will send totally un-tainted Blu Ray HD audio for the Amp to decode. Whilst this may sound pretty boring to those not into their High Definition, this is quite something for all the AV enthusiasts. These are the people who have been waiting for a PC sound card to put into their theatre PC. One that does HD Audio 'properly'. Without Xonar HDAV Series, Blu-ray audio DOWNGRADE to DVD quality on PC!! True blu-ray sensation from your PC Complete Audio + Video BD experience!! With world exclusive blu-ray bitstreaming innovation, Xonar HDAV1.3 Slim provides true next generation Blu-ray audio with sample rates of up to 192/96kHz. Most Hollywood movies capture video at 24 frames per second. With HDAV1.3 Slim supporting 24p video via HDMI, users will be able to bring cinema-like visuals out of their HTPCs and fully experience movies like they were produced in studios. Full supports playback of all three Blu-ray disc video formats: High Definition MPEG-2, AVC, and VC1's well as all kinds of other High Definition (HD) content: WMV HD, Quicktime HD, DivX HD, and H.264 HD. Without much ado, let's take a look at the specifications of this High Def card. to “DTS 5.1 Surround” high bitrate digital stream to your home theater through S/PDIF connection. DTS Neo:PC can convert stereo audio into 5.1 or 7.1-channel high-fidelity surround sounds. Think these are the key things. Good to see that the pass-thru is not molested. Tipping the balance is the bundle. U spend cash on a card that u may think is borderline too much and it hasn't got a good bundle and it makes it worse. It has a front panel header on the pcb, does that qualify as atleast half a point deduction from it not having an analogue output ? Yeah it gets half a point but I don't think a full point is warranted. Just an FYI (and tbh I can't believe it worked first time myself). Take 1x Abit IX48 GT3 (Onboard RealtekHD, just ALC888), DTS 5.1/7.1 available. Throw in, Vista 64 bit, Q6600/4g. Connect the spdif (optical) out from the onboard to the spdif (yep the gfxcard actually has an optical input aswell as a header for coax).